The unlikely crossing of paths between two classically trained musicians at an EDM show over ten years ago has blossomed into the successful DJ, producing, and remixing team Sultan + Ned Shepard. Using their vast knowledge of all musical genres, the Montreal duo has created a melodic blend of rock, pop, and house that has received worldwide acclaim from fans and critics alike. 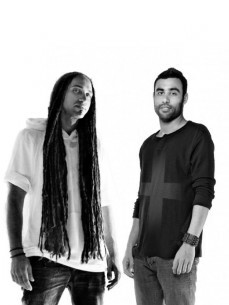 Sultan + Ned Shepard's innovative approach, easily-accessible sound and unforgettable live sets have allowed the team to quickly establish themselves at the forefront of the house music scene. Few producers have managed to maintain their studio output with such stamina and consistency as Sultan + Ned Shepard. On the studio front, they were tagged by Beatport as the 'kings of the progressive scene' with countless chart-topping productions and remixes including their collaboration with Funkagenda on Past Dreaming, and Crimson Sun featuring Grammy winners Dirty Vegas. They also became one of 2011's most in-demand remixers with their unique take on Kaskade's Fire In Your New Shoes, Tiesto and Calvin Harris' Century, and Morgan Page's Fight For You, amongst others. Continuing their hot streak, Sultan and Ned collaborated with the 'Queen of Clubs' Nadia Ali, releasing Call My Name. This smash hit peaked at #5 on the Billboard Dance Chart, #2 on the UK Music Chart and #1 on the Beatport Electro chart, and in the process cemented its status as one of this year's anthems, with major club and radio support through the US and Europe. Following up on the success of Call My Name, Sultan & Ned teamed up with Dutch superstar Fedde Le Grand to create the unstoppable monster anthem Running. Already reaching the Top Ten on Beatport, it has received praise and support from some of the top DJs in the world, including the pied-piper of dance music, BBC Radio One legend Pete Tong. In addition to their stellar productions, they've gained international praise for their live sets, hitting major venues and festivals across the globe. After launching Harem Nights at the world renowned Stereo Nightclub in Montreal, Sultan + Ned Shepard toured extensively across the world, rocking dance floors at festivals such as Dance Valley (Amsterdam), Global Gathering (Kiev & St. Petersburg), Creamfields (Peru) and Sunburn (India) as well as the world's leading nightclubs like Ministry of Sound (UK), Green Valley (Brazil), Pacha (Argentina, Egypt, Germany) and the ultimate venue, Privilege (Ibiza). With dates supporting David Guetta on his tour across Canada, an unforgettable live performance featuring Nadia Ali at LIV nightclub in Miami and an action packed, tent-rocking experience at Ultra Music Festival, their shows have proven to be truly epic events.